The way we look can affect the way we see ourselves and the way others see us. It can also affect the way we feel, and how much career success we enjoy. With our many years of experience in rejuvenation combined with the state of the art technology, you can be confident in us. 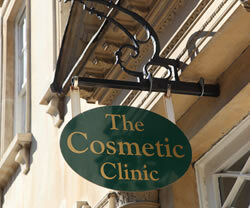 All our treatments are performed by fully qualified medical practitioner. And not only can you be confident in us, you may well find that the cosmetic treatments we provide will enhance your own self-confidence, and notice yourself walking with an extra spring in your step. Established for over 20 years and conveniently located in both King’s Lynn and Peterborough, The Cosmetic Clinic specialises in conducting both surgical and non-surgical skin rejuvenation procedures in a professional and comfortable environment. we work in parternship with clients to transform their image. Every client is different. We all want different things when it comes to our image; a look that reflects our preferences and who we are as an individual. We will help you to create a look of beauty; one that boldly and confidently expresses the real you. This list is by no means exhaustive. To find out about our treatments, please browse this website or get in touch with us, and we will be happy to provide individualized advice and information about our cosmetic treatments. Our clients come from Kingslynn, Peterborough, Stamford, Market Deeping, Wisbech, Spalding, Long Sutton, Downham market, Hunstanton, Holt, Burnham market, Blakeney, Fakenham, Norwich, Ely, Cambridge and London. 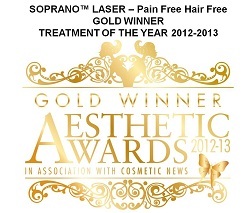 We offer award winning treatments you can rely on. All treatments are provided by and supervised by a REGISTERED MEDICAL PRACTITIONER. The primary purpose of all of the treatments offered is the PROTECTION, MAINTENANCE or RESTORATION of the health of the patient receiving the treatments. We would be delighted to chat through your situation and learn about your preferences between plastic surgery and non-invasive treatments to deliver a plan which is fully tailored to suit your requirements. For more information on the treatments we offer, browse the relevant pages on this website or call one of our clinics on the numbers above. Alternatively, you can drop us an email via our contact us page, and we will respond to you shortly. We hope to hear from you soon, and to creating a younger, more confident you.